This Samsung Laundry Pair from RC Willey comes in a white finish and features a front load washing machine and an electric dryer. Bring them home today and tackle that pile of laundry with new appliances from RC Willey. RC Willey has the laundry appliances you are looking for when it's time for a remodel, build or replacement. 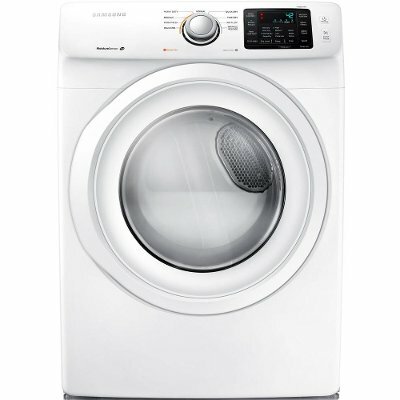 This white Samsung Front Load Washer from RC Willey features 4.2 cubic feet of washing space. Washer capacity has a direct impact on how much time you spend doing laundry. Greater tub size means fewer loads, and fewer loads means more time doing other things you love. Stackable with an optional stack kit. This White Samsung Dryer from RC Willey boasts 7.5 cu. ft. of dryer space capacity. This Electric Dryer has 9 cycles and lets you dry 2.8 laundry baskets in a single load. Pair it with the matching washer to complete the look. 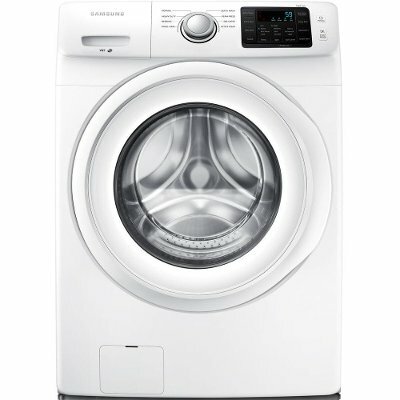 Samsung Front Load Washer and Electric Dryer Set - White is rated 5.0 out of 5 by 1. Rated 5 out of 5 by Kamfam Great product Was able to complete my order online and pick up the same day. Installed it and everything works great. Nice new washer and dryer set!